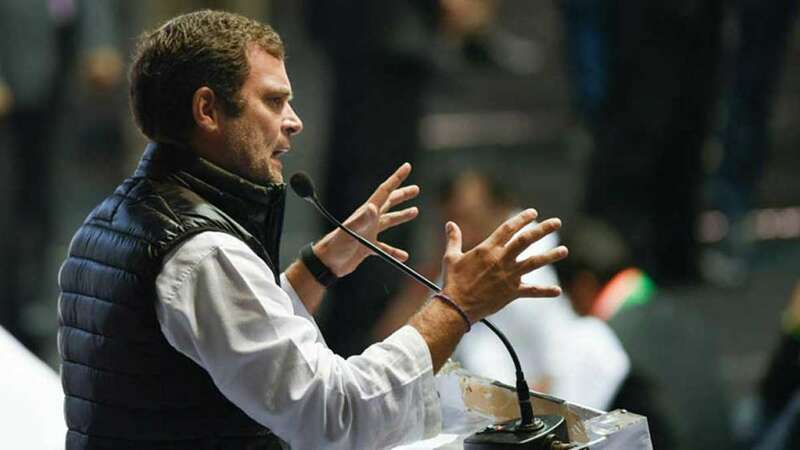 New Delhi : Congress President Rahul Gandhi on Sunday launched a fresh attack on Prime Minister Narendra Modi saying that he may run, but won’t be able to hide from questions on Rafale jet deal with France. He posted a video of an interview of PM Narendra Modi, where he is seen skipping a question on Rafale jet deal. During the interview, PM Modi has been asked if the opposition charges on Rafale deal are based on lies. Supreme Court, in its December verdict, ruled out possibilities of wrong doing in the Rafale jet deal with France.